Bisimoto Engineering is known worldwide for awe-inspiring street, show and race vehicles. With no fear of the unknown, Bisimoto is always on the cutting edge of automotive technology. 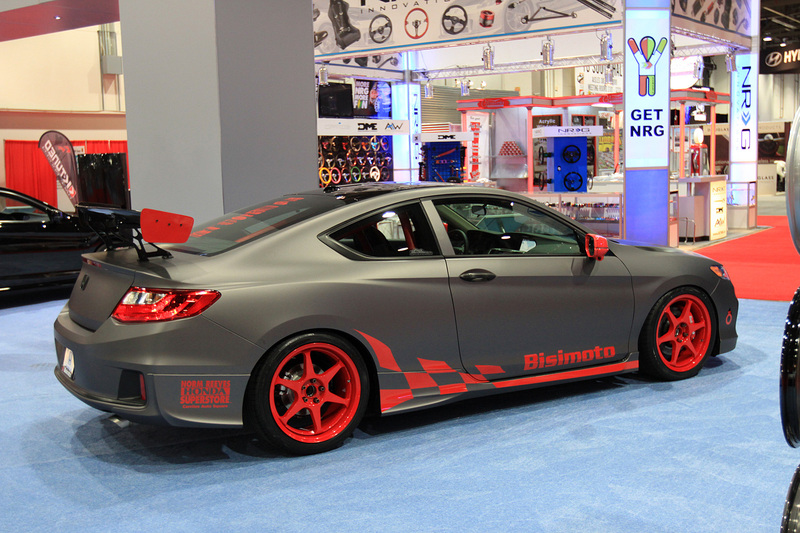 The Bisimoto 2013 Accord Coupe Grand Touring was no exception with luxurious Euro-inspired chassis elements, and modifications. This ninth-generation coupe retains the eco friendly attributes of the Earth Dreams concept, while Bisimoto engine and exhaust enhancements increase the V-6 power output to an amazing 401hp.